radiation can even bounce back through the drive unit and add colouration to the sound. For this reason closed-back headphones have to be very carefully designed. 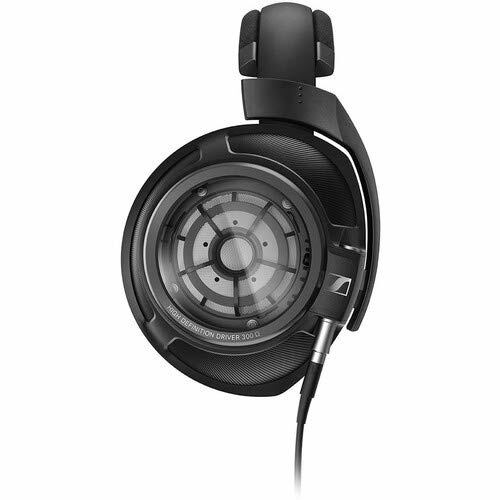 Sennheiser claims to have cracked these shortcomings with its Ring Radiator transducers, which are fitted with special Gorilla Glass covers. The concave glass reflects sound waves from the rear of the transducer to an absorber, which is said to minimise resonances. On close inspection I can see that there is a good amount of space between the glass back and the rear of the transducer. Combined with the relatively large 56mm driver, this results in a good enclosed volume, and the diaphragm should not be overly constrained. 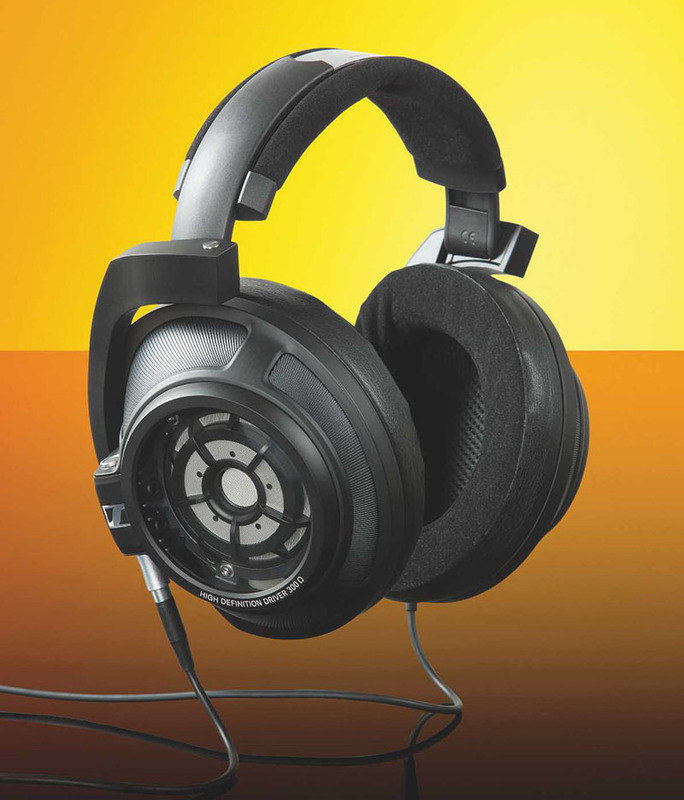 The HD 820 has large over-ear cups fitted with soft replaceable earpads. It is supplied in a wooden case and comes with three 3m silver-plated OFC cables fitted with gold-plated plugs. The one for unbalanced operation is terminated with a 6.35mm standard unbalanced stereo jack plug. The other two are balanced – one is terminated with a 4.4mm Pentaconn stereo jack plug and the other with an XLR-4 connector. The ends that connect to the earcup are fitted with the same high-quality plug as on the company’s HD 800 S over-ear, open-back offering (HFC 439). The steel frame and adjustable headband are sturdy, but light. The earcups are able to move in both axes via a single side and top pivot. Like the aforementioned open-backed HD 800 S, it is extremely comfortable to wear and offers effective isolation from external sounds. The cables are flexible and don’t exert any pressure on the earcups when I move my head, nor do I experience any noise or cable microphony when I move around. I find myself having to remove the headphone to make sure I am not playing the music through my speakers as well. At the other end of the audio spectrum, the brushing on the drums is clear and crisp, and the brass section is strident as I’d expect. Teal’s vocals are nicely positioned within the soundstage and the performance is highly enjoyable. For some classical, I spin Fone Records’ Astor Piazzolla’s Verano Porteno by Salvatore Accardo. This late sixties recording incorporates elements from jazz and classical styles and is both powerful and moving. The emotionally charged playing is splendidly conveyed by the HD 820. The edginess of the violin playing is really captivating, at times perhaps a little too edgy, but nevertheless I find myself really drawn into the performance. Time to relax with another Fone LP, but this time Henry Mancini’s The Pink Panther played on saxophone, piano and drums. The sax is uncannily real, and the tinkling of the drums on the left of the soundstage combined with the rhythmic accompaniment of the piano towards the right is very engaging indeed. I switch over to using the XLR balanced cable to see if there is any discernible difference when feeding the headphone from the balanced output of the HDV 820 headphone amplifier. On first listen, it is difficult to identify any change, but when repeatedly switching between the balanced and unbalanced, I begin to feel that the former output has a bit more character with the hi-hats – they appear to have more complex harmonics at the extreme top end. Of course, this may be down to the characteristics of the headphone amplifier rather than the performance of the HD 820, but the effect is subtle enough to not warrant any further investigation. Having said that, I stay with the balanced connection for the remainder of the listening test. To explore the bass performance further, I turn to some techno-jazz music by Azymuth. Equipe 68 from the double LP Before We Forget really shows off the tight and punchy bass lines, which really seem to be a strength of this headphone. As with The Pink Panther track, the hi-hats are really crisp and I am propelled through this very lively piece by the great energy of this performance. The HD 820 appears to be very much at home with a full orchestra. A 1979 recording of Tchaikovsky’s Capriccio Italien, Op. 49 performed by the Cincinnati Symphony Orchestra on the Telarc label is full and engagingly complex. The bass drum that comes in towards the end of the track is scarily good and I almost jump when it starts and find myself totally immersed in the performance. Right from the initial trumpet blasts at the start through to the galloping final section, the Sennheiser seems to melt away leaving me to luxuriate in the music. With some delicate guitar-playing by John Williams performing Giuliani’s Concerto For Guitar And String Orchestra with the English Chamber Orchestra, I am instantly struck by the effortlessness of the performance. The detail and sophisticated rendering of the guitar is mature and very real. The orchestra’s physical location on this recording appears quite far behind the guitar and this sense of depth is very well conveyed by the headphone. Being hyper critical, I have a feeling that the strings are not quite as smooth as I am used to with this recording, but this is a mild concern. After warming up my CD player, I spin a silver disk of Nicola Benedetti’s fantastic Decca recording The Silver Violin. A favourite track of mine on this CD is Korngold’s Violin Concerto and the rendition by the HD 820 is masterful. Her Stradivarius is as clear and distinct in the crescendos as it is in the quieter sections. I finish off my listening with some more jazz, but this time, with a terrific 1965 LP by the late, great Steve Race from his album Late Race. Although on some of the tracks, the position of the instruments seems to be rigidly fixed on the left, centre and right of the soundstage (which was often the case with early stereo recordings), they sound every bit as fresh and clear as in any modern recording. The guitar that’s on the right in Round Midnight balances well with the saxophone on the left playing the melody and with Race playing the harpsichord in the centre. The bass and drums are in perfect proportion in this engagingly well-balanced recording. On the next track entitled Lullaby For Lisa, Race’s playing of the main theme on the harpsichord, accompanied by the strings of the orchestra, is lilting and absolutely charming. It is interesting to compare the HD 820 with its open-backed HD 800 S sibling (HFC 439). 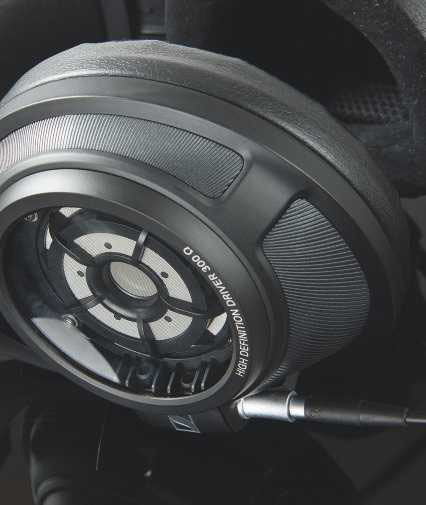 The extra £ cost of the HD 820 gives very effective sound isolation and a third cable fitted with a Pentaconn connector. Putting sound isolation to one side, the top end of the HD 800 S is slightly more refined. However, the bass response of the HD 820 is more powerful, extended, punchier and tighter, and quite unlike any closed-back headphone I have previously heard. Both models are very comfortable to wear for long listening sessions. 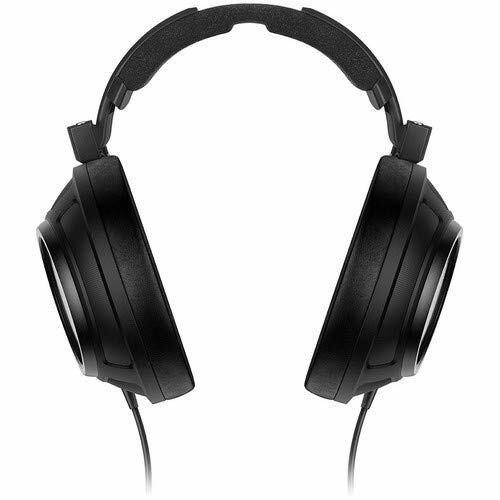 NR: What are the complexities involved in designing a closed-back headphone like the HD820? AG: The acoustical energy that is radiated in a closed-back headphone design stays inside the earcup and takes some time to be absorbed. This takes longer at some frequencies than others and can be the cause of audible resonances. For the HD 820, we have designed a geometry that absorbs the acoustical energy in an effective way. 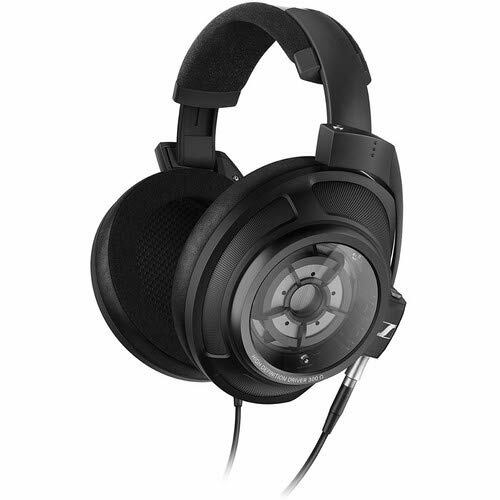 What were the objectives in adding a closed-back design to the Sennheiser lineup? Our customers are using headphones in many different situations today. A closed-back design effectively lowers any background disturbance and has the advantage of minimising any noise leakage that could disturb anyone in close proximity. How did the design of the Gorilla Glass at the rear of the earcups come about? Gorilla Glass is very stiff and lightweight and is an effective design solution. To achieve the same stiffness with plastic we would need to add ribs to increase the strength. We like the uninterrupted transparent window, which shows off our driver engine: the Ring Radiator transducer. Tell us what’s special about the design of the Ring Radiator transducer and how it benefits the closed-back design? The transducer is exactly the same as the one used in the HD 800 S open-backed headphone. The difficulty was in being able to achieve a sound impression with a closed design that is very close to the ‘airiness’ and spatiality produced by the HD 800 S, but I think the HD 820 gets quite close. It is the most open-sounding closed-back headphone design that we have created, but has an improved bass response, which is one of the benefits of many closed-back designs.